Student loans are a big kick in the face that the real world has arrived. If you’re looking ahead to college, you can save money and reduce debt with financial aid and scholarships. For those of us who already have nearly $30,000+ of student loans hanging over our shoulders, we can create a plan to handle it — and not ignore investing and saving for retirement at the same time. The mathematical answer is to put your money where it will have the biggest impact. If your student loan interest rate is lower than the interest rate you can expect from investing, pay the minimum on the debt each month and invest the rest. Many people scoff at the emotional or hybrid solutions, not understanding that personal finance is about more than simple math. But the blunt truth is, psychology and emotions play a huge role in money. If they didn’t, we’d all spend less than we earned and construct a perfect asset allocation. If you feel strongly about the mathematical or emotional answer, your answer is clear. For everyone else — which turns out to be most of us — I suggest a hybrid approach. Surprisingly, the most important step isn’t finding the optimal balance between paying off debt and investing. It’s automating your money so you don’t have to think about either. Six months from now, you’ll be shocked at how much you’ve paid off and invested. Because loans are usually large amounts of money spread out over many years, the savings can be significant by paying off a little extra each month. The longer the loan, the more you save. Remember, even $20 more per month can save you SIGNIFICANT amounts of money. Previously I wrote “You have $100 extra per month. Should you pay off your mortgage early or invest?” and linked to two great articles for the answer. The point is, if you can contribute even a small amount per month — whether to investments or any loans — the benefits can be huge. Now, we all “know” paying off debt is important. We say being financially responsible is a “value” of ours. So why don’t we do it? How often have you heard (or said) this? If you think personal finance is about trying harder, ask yourself: How has that worked for you in the last month? The last year? Have you really saved more? Invested more? The idea that personal finance is about willpower is based around the heroic idea that our willpower is the most centrally important driver in our lives. But social psychologists know that the situation around us is at least as important as our personality. In short, the structures around us matter. You can set up systems today that will take the emotional and psychological discomfort out of the equation. One reason we don’t save money is the pain of putting money into our savings accounts or paying our student loan bill each month. Just like cutting back on lattes, we may do it once or twice, but if we have to make the decision EVERY paycheck, we’re setting ourselves up to fail. That’s why automated finances work so well. By setting up a bulletproof personal finance system, you can start to dominate your finances by having your system passively do the right things for you. It will help you automatically manage your money, guilt-free, for years to come. Bills, student loan payments, and savings will be automated, leaving you to focus on the things that really matter. 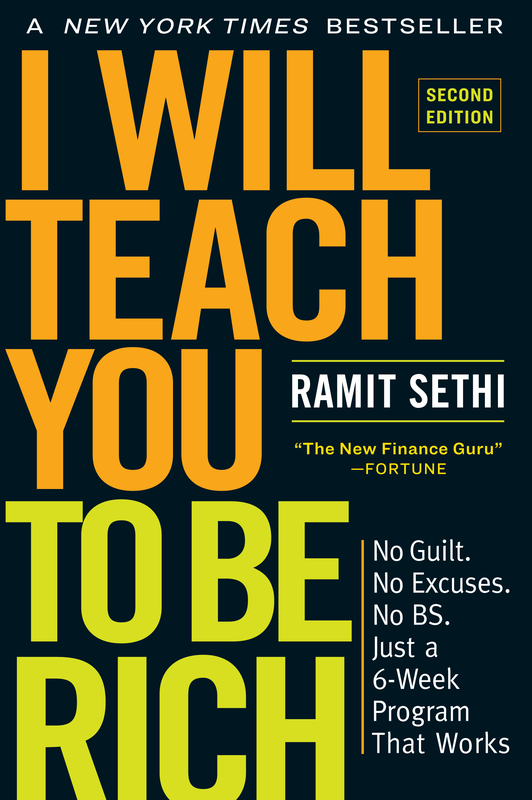 In the Ultimate Guide to Personal Finance, we show you how to automate your finances and dive deep into savings strategies, investing, getting out of debt, tapping into hidden income, and much, much more. In this guide that I’ve put together, you can use the strategies and tactics with 100% confidence — knowing that I’ve tested them myself, then vetted each and every technique with millions of people around the world. Personal finances are one of those things so many people put off until tomorrow, next month, next year. Take an hour, follow this system, and you’ll be set for decades. If you follow this system, it will work. Access the free Ultimate Guide to Personal Finance now to finally pay off your student loans, optimize your credit cards, invest the right way — all while spending money on things you love, guilt free. Learn know how to pay off your student loans automatically. Get the exact system millions of my readers have used.